Christian advertising opportunities for Christian businesses. Looking to reach a Christian audience with your advertising? 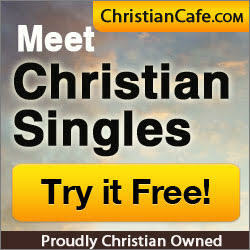 ChristianCafe.com has a limited amount of Christian advertising opportunities for Christian and family-friendly advertisers. Our audience are dedicated Christians who are single and (for the most part) live in the United States. Ads are priced on a CPM (cost per thousand views) basis. For complete details please view our Christian advertising page.